Help a heroic hound to track down Granny’s stolen soup recipe in a story full of daring rescues and codes for YOU to crack. When Martha learns that thieves are trying to steal Granny’s precious recipe, it’s up to her to stop them! Martha – a.k.a. 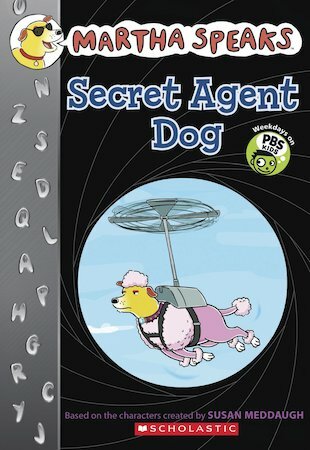 agent K9-002 – embarks on an undercover mission, but the life of a secret agent dog turns out to be much more complicated than she imagines: Martha has to cope with doggy surveillance, high-tech gadgets, unlikely suspects and the surprising fact that she has a human-speaking voice! Prove yourself the ultimate spy in a book packed with codes to crack and cases for you to close. There’s even an activity section complete with a spy test, secret code, and instructions on how to become a master of disguise!